News | Urakasumi Sake Brewery Saura Co.,Ltd. Gold, Silver and Emerald Awards at 2018 U.S. National Sake Appraisal!! The results of 2018 U.S. National Sake Appraisal were anounced! Urakasumi has receiced gold medals for "Yamadanishiki Junmai Daiginjo Urakasumi" and "Junmai Ginjo Urakasumi Zen", and a silver medal for "Urakasumi Junmai Daiginjo M". 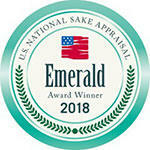 We were also awarded EMERALD AWARD!! A tally of the number of gold and silver awards won by each brewery has been kept since the first Appraisal in 2001. Every year the brewery with the largest number of cumulative awards, and which has not received the award previously, is presented with the Emerald Award. We are honoured to received these awards and we hope to expand our "Urakasumi" brand in the USA and other countries. The results of Kura Master were announced the other day, and "Junmai-shu Urakasumi" was awarded a gold medal in Junmai-shu category! It is a sake competition held in France, which started in 2017. There are a various kinds of sake competitions, but KURA MASTER is held in France by the French for the French and has a purpose to promote sake in French market. 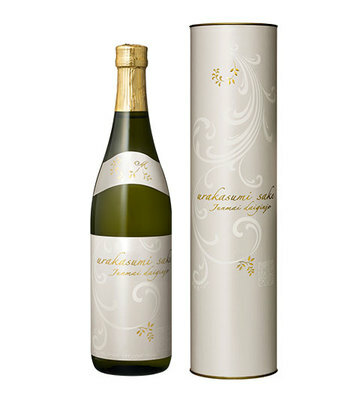 We would like to extend our gratitude for your support, and hope to further promote Urakasumi sake in France as well. Silver medals at International Wine Challenge 2018!! We would like to gladly announce that we have received silver medals for 3 Junmai Daiginjo at the International Wine Challenge's Sake Category. ※ BY stands for Brewery Year. 2016 BY refers to the sake which was made from July 2016 till June 2017. We will further strive to make high quality Urakasumi sake. Your continuous support will be much appreciated. The IWC is the world's largest and finest wine competition which receives the highest attention from a wine industry. Sake category at IWC was first set up in 2007 and this year is the 12th year since it started. The judging of IWC 2018 sake category was conducted in Yamagata prefecture, Japan for 4 days from May 13th till 16th. 1639 items of sake were assessed blind for 9 types of sake and medals (Trophy, Gold, Silver, Bronze) and Commended and Great Value awards are given to the selected sake. If you have an enquiry, please contact us from the following page. We had an honour to hold a sake dinner event at Kaiseki Yu-zen Hashimoto to pair Urakasumi sake with beautiful Kaiseki dishes. We then exhibited at the biggest sake festival in Canada, Kampai Toronto, yesterday. Participants enjoyed over 175 items of sake, shochu and liqueur from more than 30 sake and shochu makers from Japan and Toronto!